High output moonflower effect, featuring LED technology along with the versatility of DMX. What makes the Carbon really special is the fixture contains a truly unique effect. 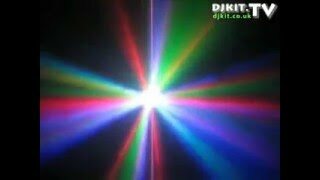 Great for DJ's, bands and clubs, this effect offers amazing output and spectacular programmes and is capable of covering an extremely wide area. It's RGB (red, green, and blue) LED's produce brilliant beams and colours which outshine traditional halogen moonflowers and look great with or without a fog machine. Because LED lamps can be turned off and on individually, the moonflower's built-in programs can create a variety of breathtaking chases and patterns that would not be possible with a halogen fixture. An advanced lens enhances the LED's visual intensity, sharpening their beams. Considering purchasing the Equinox Carbon High Power LED Effect? Have questions? Ask people who've recently bought one. Do you own the Equinox Carbon High Power LED Effect? Why not write a review based on your experience with it. Seen a video for Equinox Carbon High Power LED Effect online or have you own video? 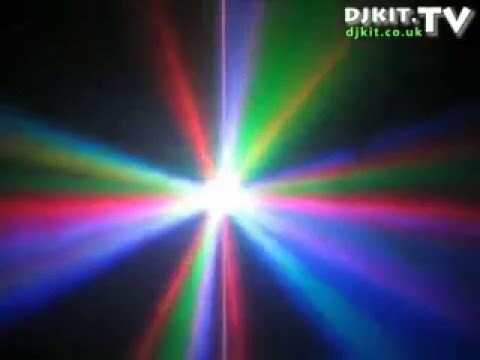 Check out Equinox Carbon High Power LED Effect on DJkit.com!